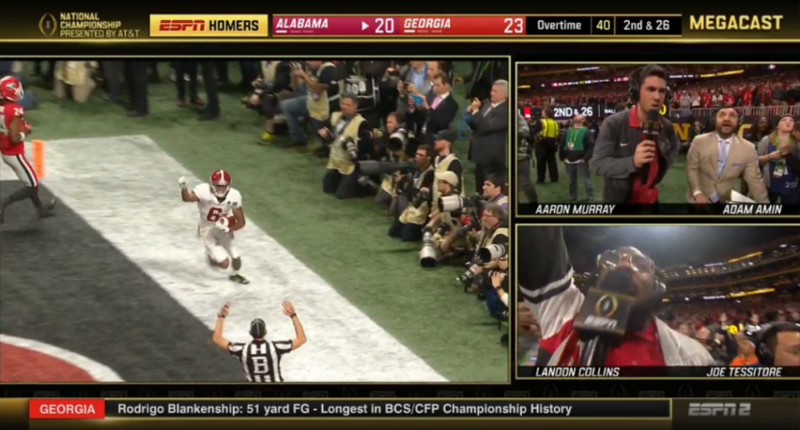 ESPN had a (super mega) Megacast for the Alabama-Georgia national championship game, and it was fun to see how they reacted to the Crimson Tide’s title-winning touchdown in overtime. The “Homers” broadcast featured a very jubilant Landon Collins, and a very dejected Aaron Murray. Good luck making it past the 15-second mark without laughing.